Tiles are one of the most popular wall and floor coverings for bathrooms, so how do you keep them in tip-top condition? In our latest “Modern Fixes” article, we’ve come up with some simple tips, which will show you how to clean tiles in your bathroom, to bring back sparkle and help remove dirt and mould from grout lines. 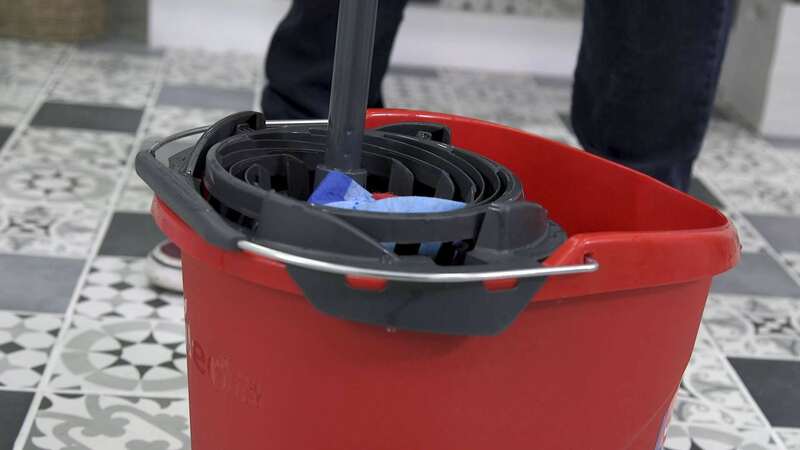 The best way to prevent grime build-up on your floor tiles is to regularly mop with everyday floor cleaner and wipe down wall tiles regularly. 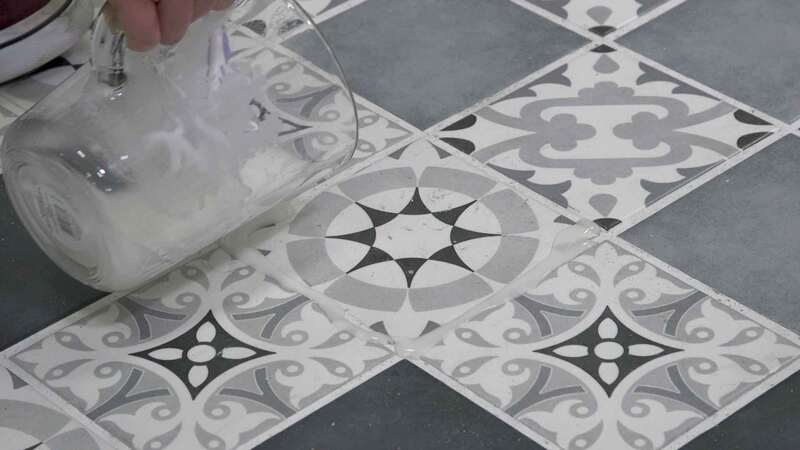 As wall tiles and floor tiles can be cleaned in slightly different ways, we’ve split this “how to” guide into 2 separate sections, each with its own step-by-step video. 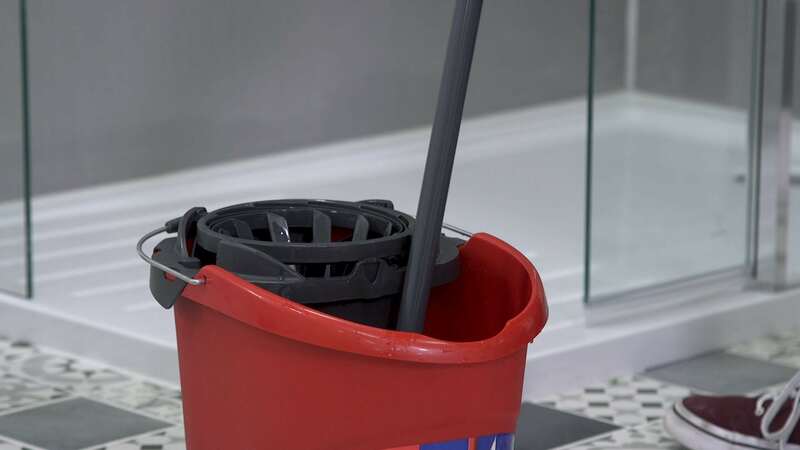 Fill your mop bucket with warm water and use about half the recommended amount of cleaner. 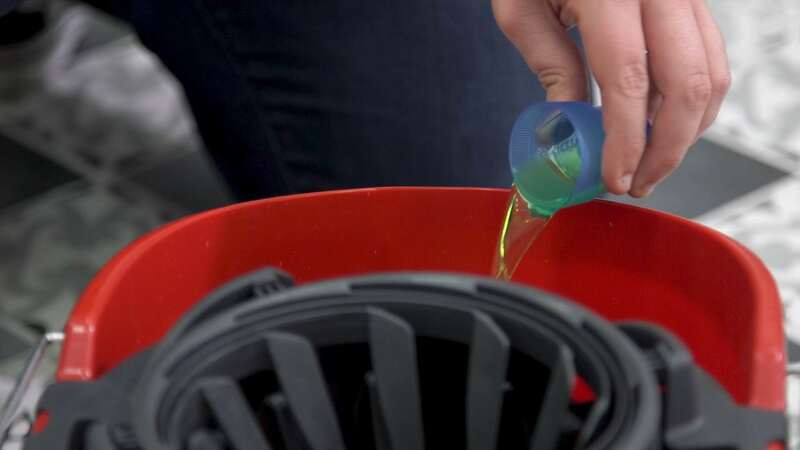 This will prevent sticky and slippery floors once dry. Soak your mop with the solution and wring out until most of the water has drained. 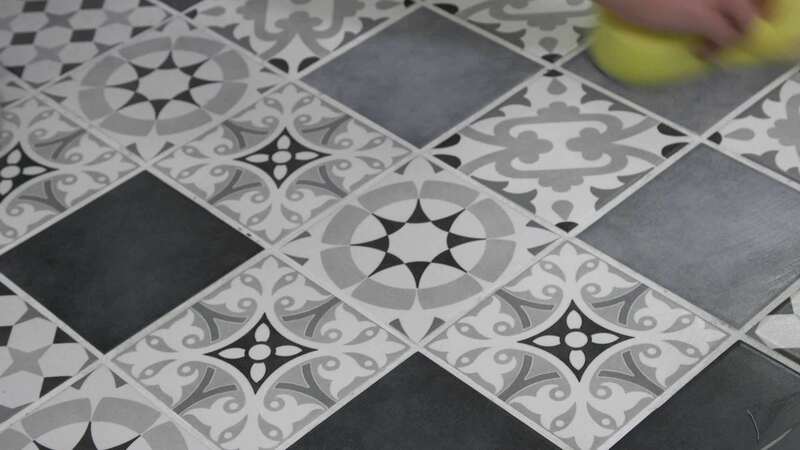 Mop your floor tiles using a figure of eight pattern. This will trap dust and debris. Rinse the mop throughout this process, working back towards the doorway. For dirt in grout lines, mix water, lemon juice and baking soda into a paste and apply to the grout. 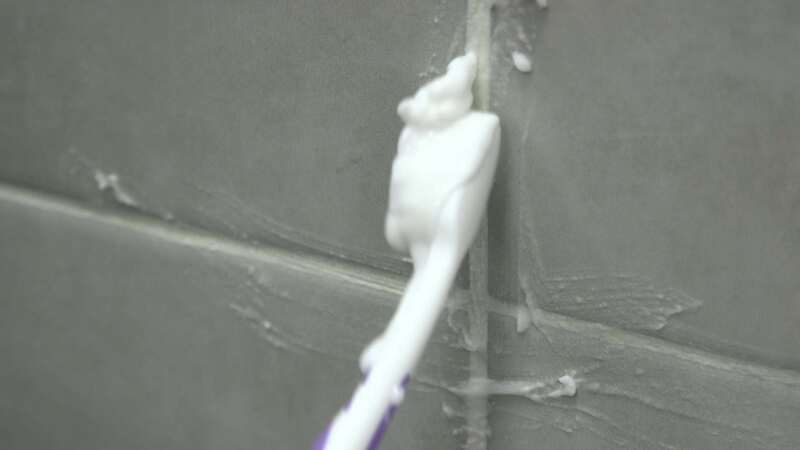 Leave for 10 to 15 minutes, then scrub the grout lines with a toothbrush (making sure it’s not one that’s currently used for teeth!). For more stubborn stains, mix in a little extra lemon juice. This acts as a natural whitener. 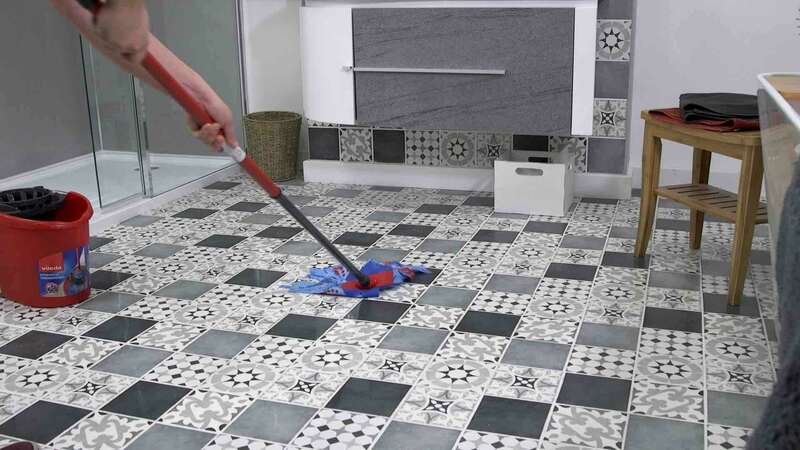 Wipe away the cleaned area with sponge, cloth or old towel to reveal a sparkling, fresh grout line. Congratulations, you have now cleaned your floor tiles. To make a natural cleaner, you will need some baking soda, lemon juice and white vinegar. 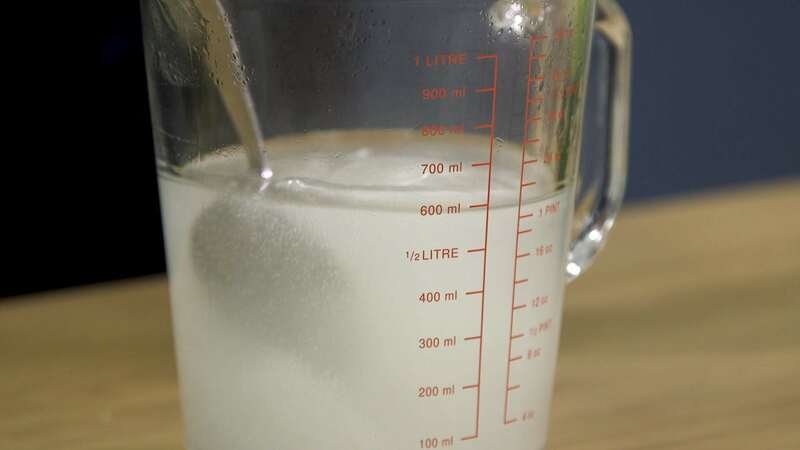 Mix 2 spoons of baking soda with 500ml of water. 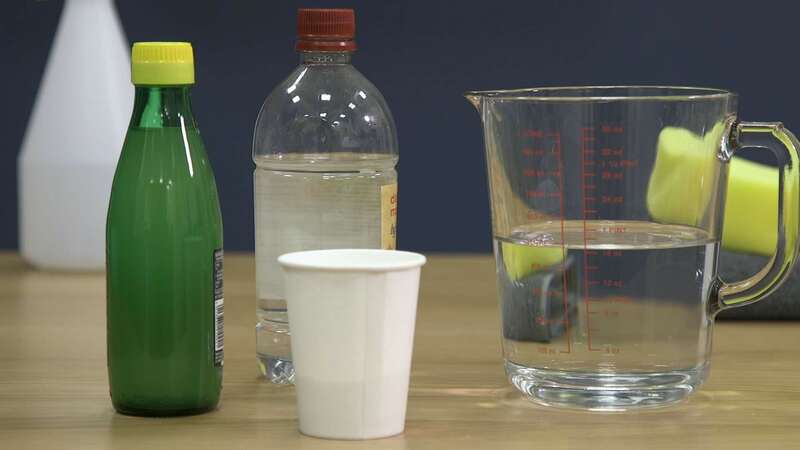 Once dissolved, add a splash of vinegar to the mixture, then some lemon juice and stir thoroughly. 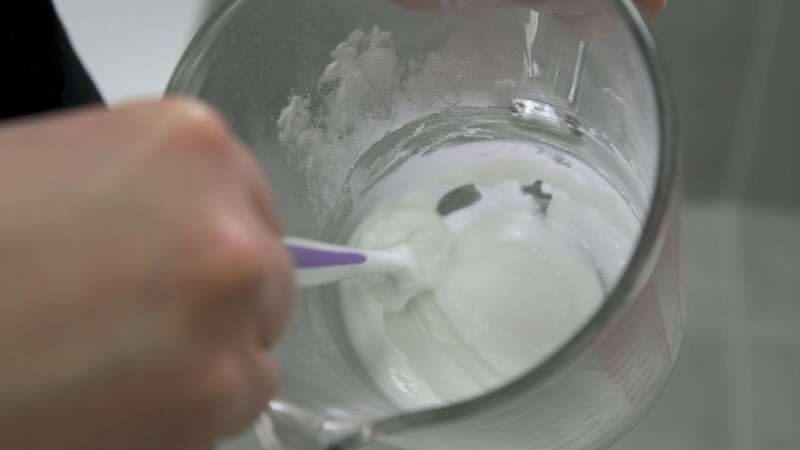 Pour this mixture into a spray bottle and apply to the tiles. Let this stand for 30 minutes then scrub the surface with a sponge or old towel (make sure it’s clean). For dirt in grout lines, mix water, lemon juice and baking soda into a paste and apply to the grout. The lemon juice acts as a natural whitener. Leave for 10 to 15 minutes, then scrub the grout lines with a toothbrush. 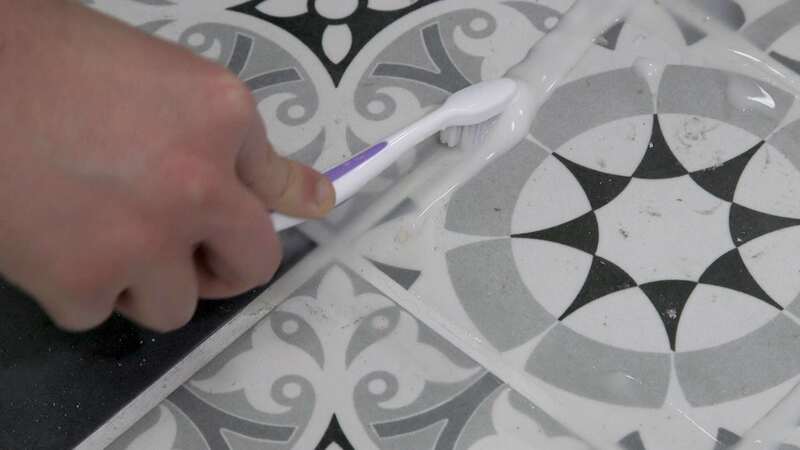 Wipe away the cleaned area to reveal a sparkling, fresh grout line. Congratulations, you have now cleaned your wall tiles. For more easy ways to maintain a beautiful-looking bathroom, why not check out our Switches and Fixes hub? Or, click on any of the links below, and discover more “how to” video guides.